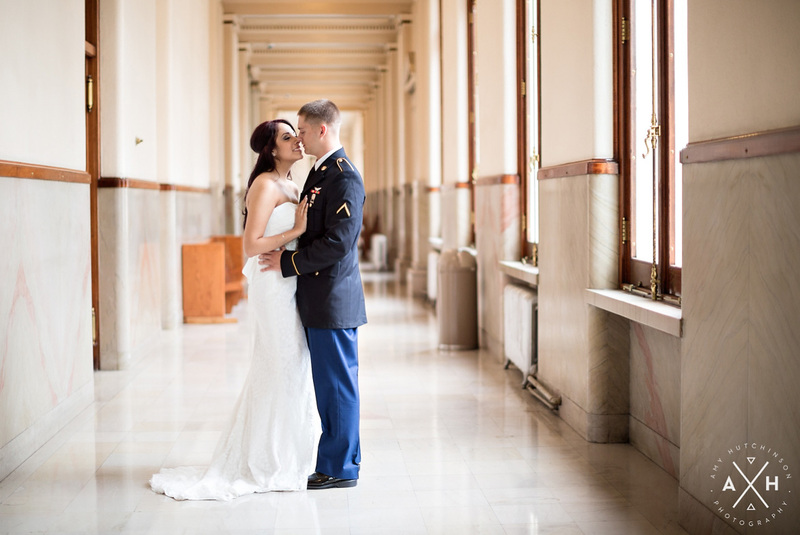 We recently got the chance to photograph our first courthouse wedding, and we can’t wait to do it again! I’ve always thought that civil ceremonies are so intimate and sweet! It’s a private affair, with only a few family members and friends. It completely removes all the stress and (most of) the planning that a formal wedding involves, and makes it all about the couple. 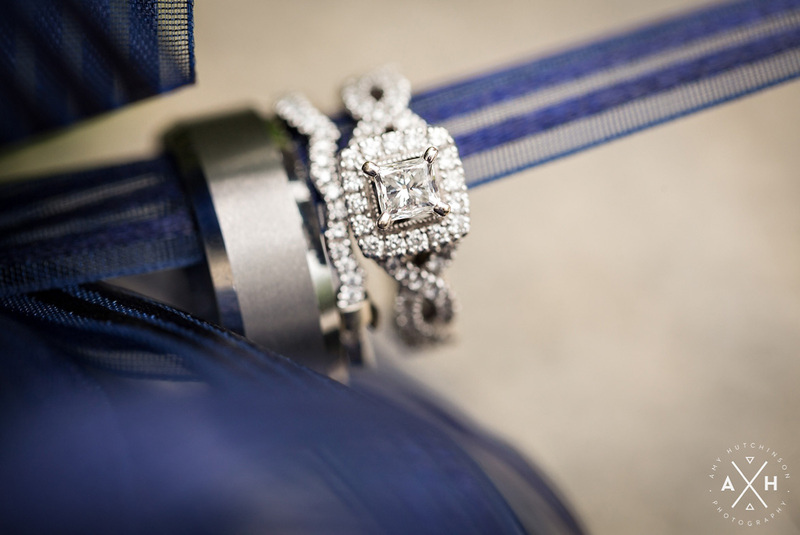 It really concentrates on the most important part of wedding… getting married! 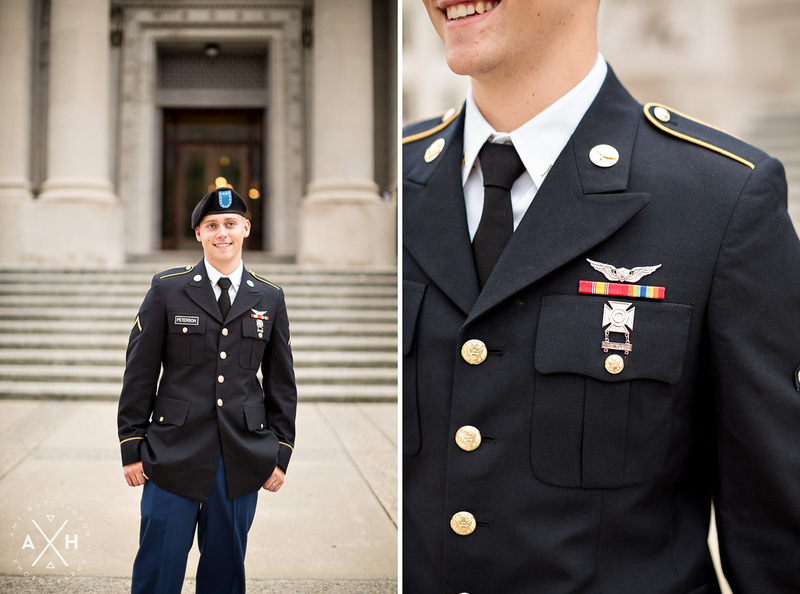 Josh is in the military, and he was being stationed in New York. 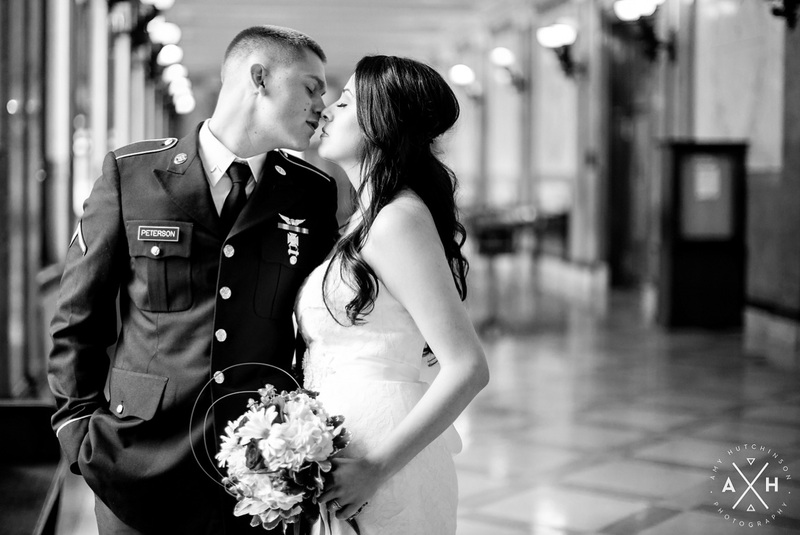 He wasn’t willing to go without Melissa, so they decided on a quick civil ceremony at the courthouse so that they could move together as husband and wife. 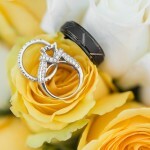 Photos were very important to Melissa, and I was honored when she asked me to capture their nuptials! 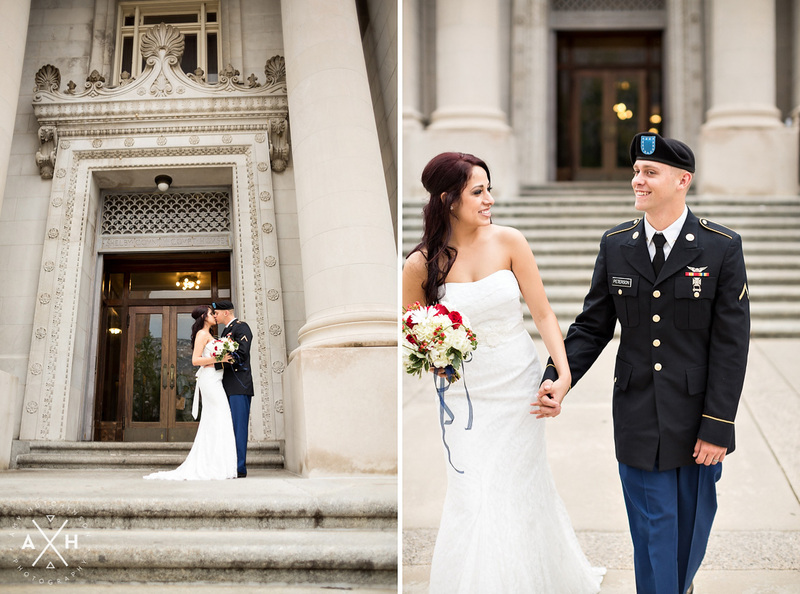 We photographed their short ceremony, then took some time to get plenty of portraits in and around the courthouse. 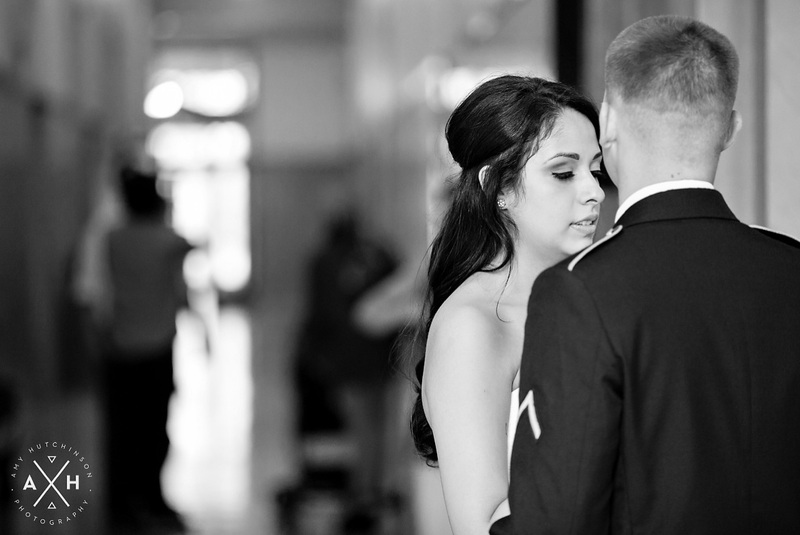 Melissa and Josh took a few moments for themselves before it was their turn in the courtroom. 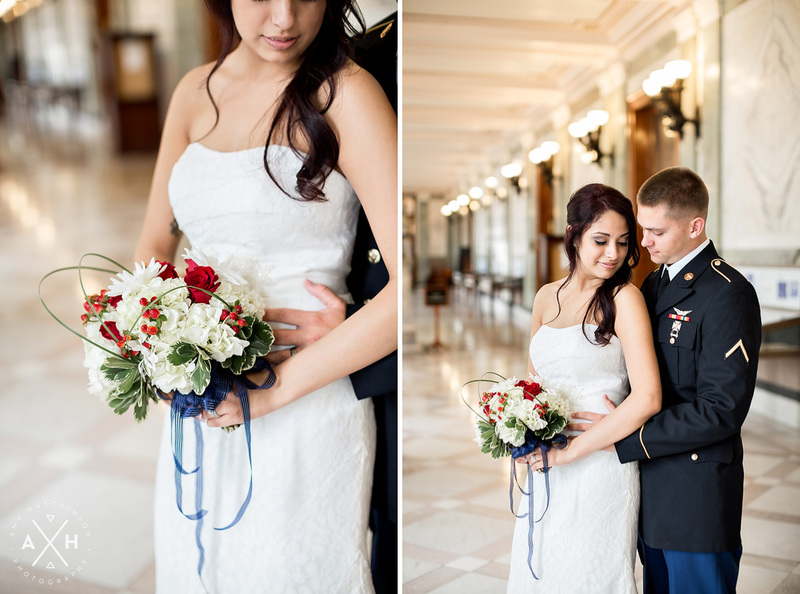 Melissa made a stunning bride, and her sister surprised her with a red, white, and blue bouquet for the occasion. 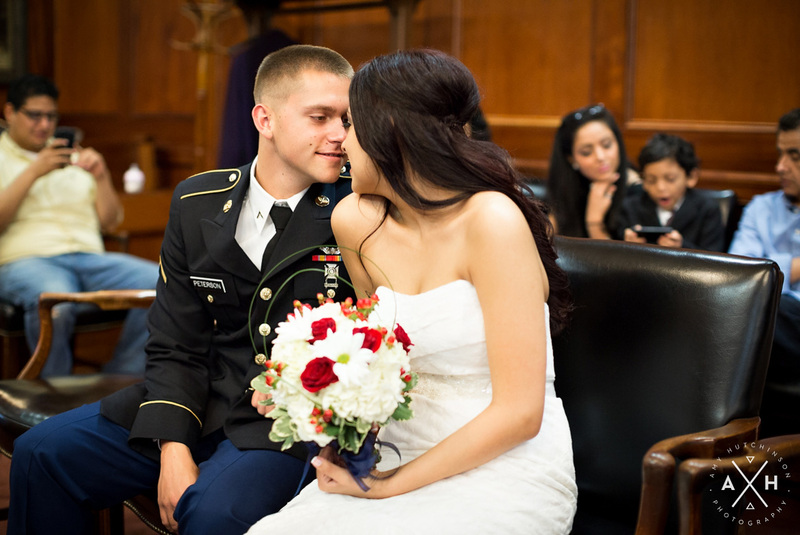 The happy couple couldn’t take their eyes off each other while waiting for the Judge to enter the courtroom. Even in tight quarters, the judge didn’t mind photos and told us that we could move freely about the courtroom. Loved that! We were still pretty stationary so that we wouldn’t be distracting, but we were able to get in nice and close. I could get used to that luxury! 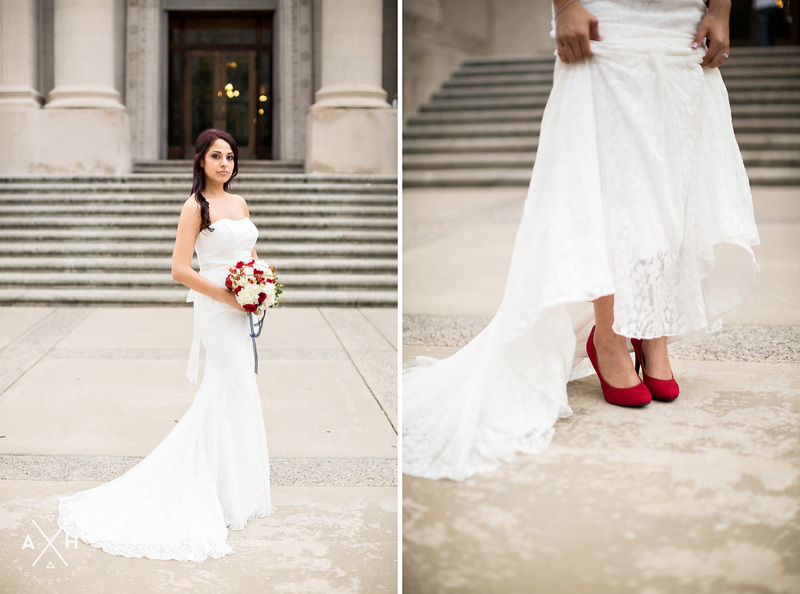 After a few family photos, we roamed around the courthouse for some portraits. 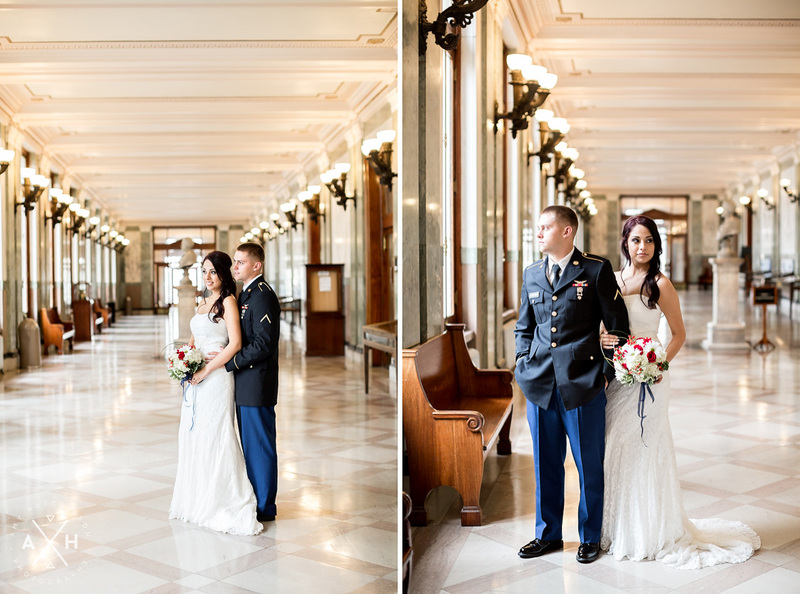 The courthouse had lots of big windows, and we were surprised at how picturesque it was! A spiral staircase is a must! This hallway was lined with floor to ceiling windows and everything was covered in marble. It made for beautiful wedding photos! Because it was a weekday afternoon, there weren’t many people milling around, so we had the place to ourselves! To finish things up, we went outside for a few more photos before the rain started coming down. Melissa, you are stunning! I could have photographed you all day. And Josh looks so suave in his uniform! These two were naturals in front of the camera. 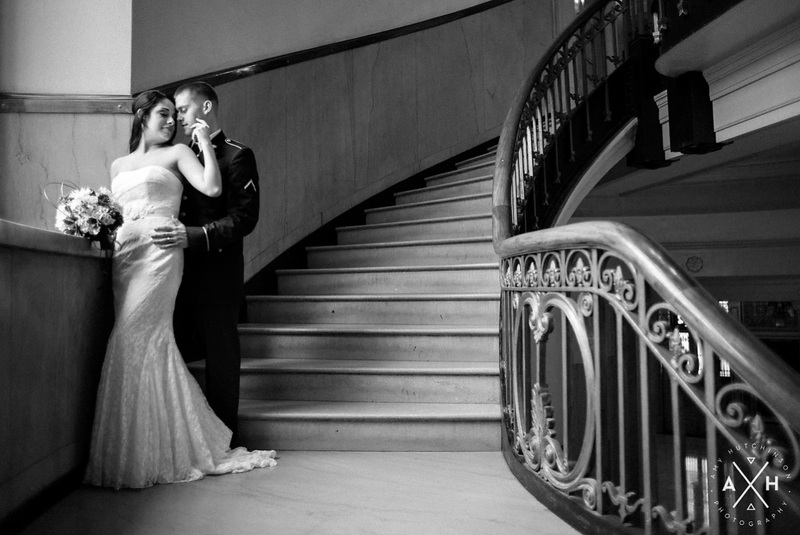 Melissa and Josh, thank you so much for sharing this special day with us! 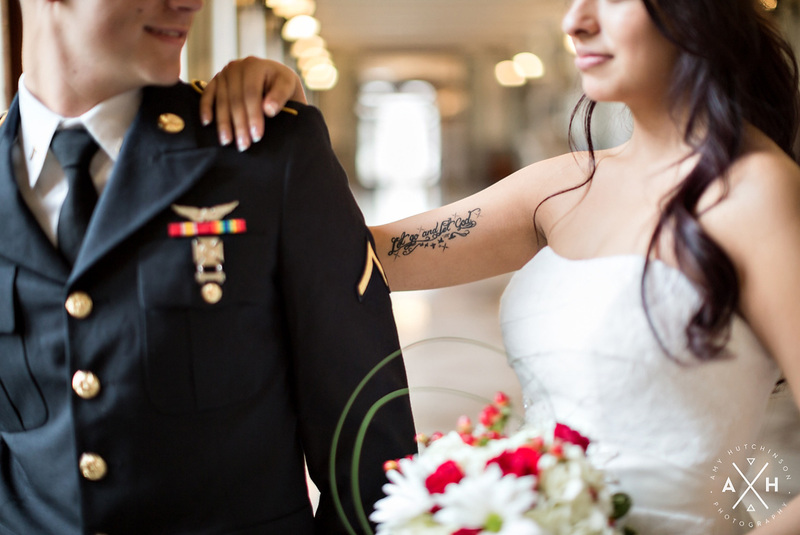 We were honored to capture your ceremony, and we know you guys are having a great time in New York! 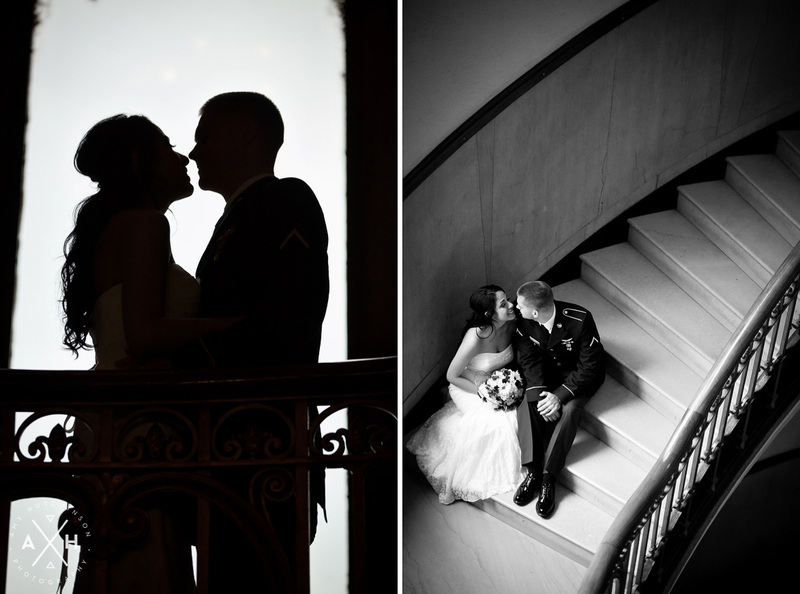 We can’t wait to photograph another courthouse wedding! 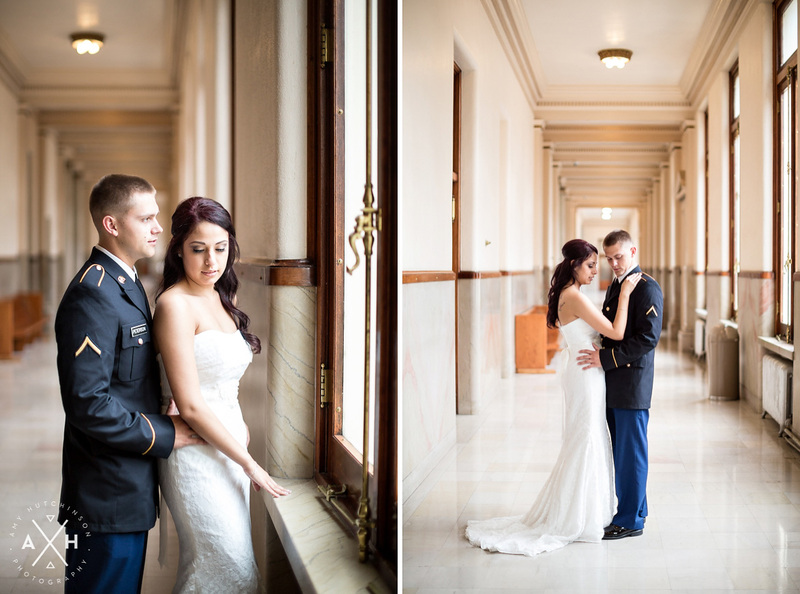 I never would have imagined that a courthouse could be a backdrop for such beautiful photos! 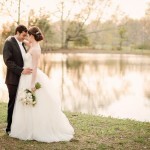 These two look so natural & gorgeous in all the surroundings! 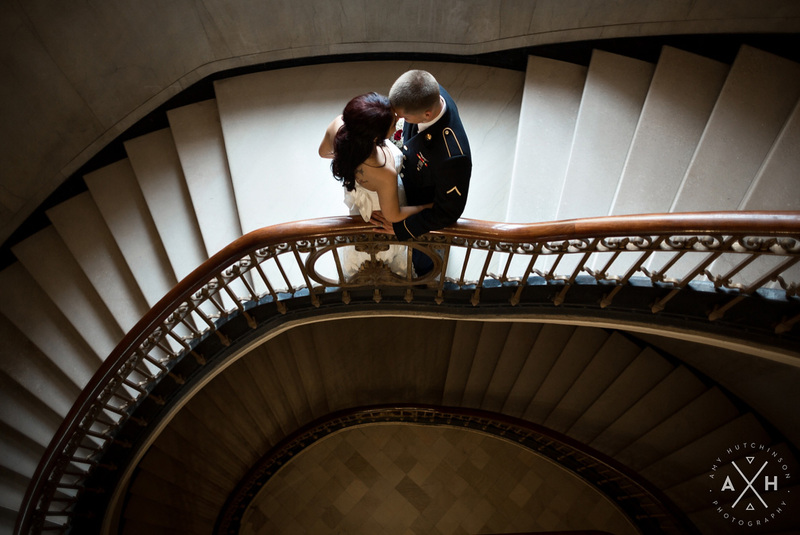 Love, love the spiral staircase pictures … and that silhouette, stunning! What court house was this? 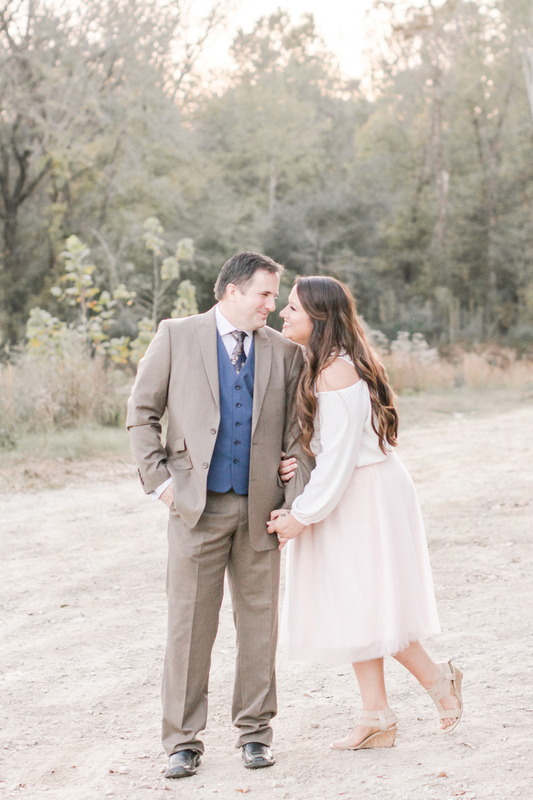 Hi there – beautiful wedding! 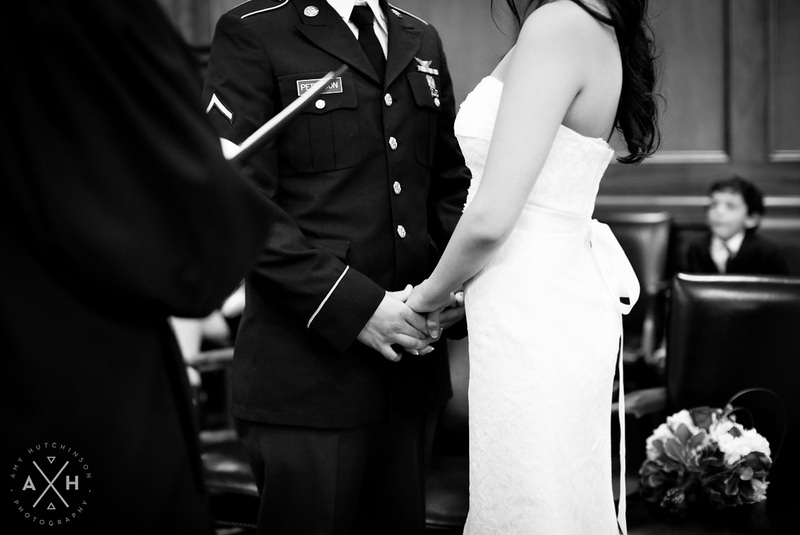 How did you arrange the judge to serve as your officiant? We’re looking to get our official ceremony done at the courthouse too, but I can’t find info on how to do the ceremony, only the license. Thanks! Hi Kelly! 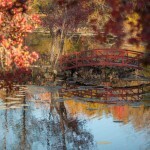 I wish I could help you more, but as the photographer, I am not involved with the scheduling. From what I have learned from past couples, they only do elopements on certain days. If you call the courthouse, I’m sure they could help you! Thanks for stopping by! Was this courthouse in Memphis? It is beautiful. So Beautiful. You really took Awesome Pictures of this Beautiful Couple. When was this wedding? Someone told me you can’t get married at the courthouse anymore and I hope that’s not true! Hi Nicole! This wedding was back in 2014, but we photographed a wedding there just this February! They still do them, but I think they only do them one day a week. 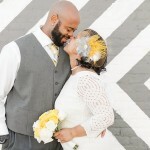 I was this website by searching from courthouse civil ceremony in Memphis. 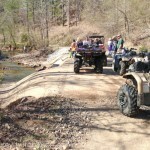 I am wondering do you know how to make an appointment to have the ceremony in Shelby County Courthouse please? Thank you. Hi Celine! No, I’m afraid I don’t have the answer to that. I’m sure if you give the courthouse a call, they will be able to help you! Good luck!